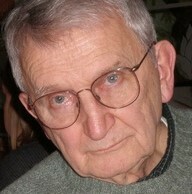 Michael Sosiak was born on December 22, 1930 to parents Anna (nee Burack) and Nykola Sosiak in Lorain, Ohio. He was a lifelong resident and champion of Lorain. He attended Oakwood and Whittier Schools and graduated from Lorain High School with the class of 1949-A. After a brief stint working at National Tube, Michael enlisted in the United States Navy and proudly served for four years during the Korean War. He was an aviation metalsmith and was stationed both at Patuxent River, Maryland and Vieques, Puerto Rico. He was awarded the National Defense Service and Good Conduct Medals. When his service ended, Michael returned to Ohio and utilized his GI Bill to attend Kent State University where he majored in Elementary Education. Michael returned to his beloved hometown and neighborhood where he taught fourth and sixth grades at Homewood Elementary School. Michael would later obtain a Master’s in Education also from Kent State University and take classes towards his PhD. Michael retired after 35 years with the Lorain City Schools and enjoyed a long retirement spent outdoors and following his many interests. On June 18, 1963, Michael married Persis Eshenbaugh of Mannington, WVA following a one-month engagement. They eloped to Tucumcari, New Mexico and were married for 55 years. Michael and Persis have one daughter, Persis Anne Sosiak (Brett Miller) of Lakewood, OH. Michael was a member of the Episcopal Church of the Redeemer in Lorain, Ohio Education Association Retired and the Lorain Education Association-Retired. Michael found his true calling in the classroom. He loved learning and shared this love of learning with his students. Michael was a proud ‘River Rat’—the name taken on by young people on the City’s south side who spent their days exploring and playing on the Black River. This love of nature continued throughout his life and when not reading, Michael could be found puttering in the yard or enjoying Lake Erie. Michael was preceded in death by his parents and siblings (Sophie, Joseph, Walter, Olga and Helen).